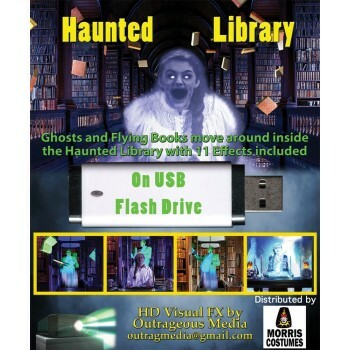 Ghosts float around a number of library rooms, large and small, while a girl studies in the foreground. Perfect for a wizard school type scene. 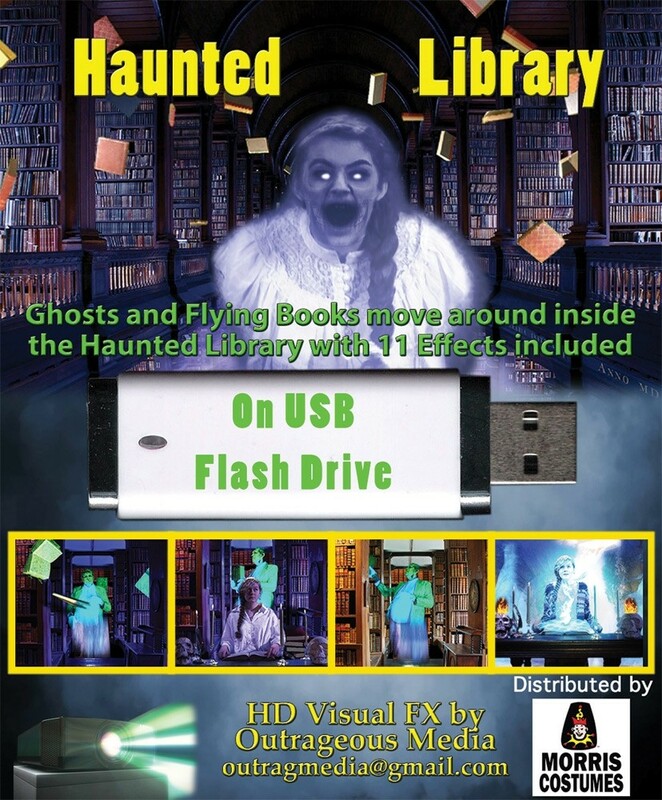 11 effects are included, with a ghost putting ghost books on a shelf, a possessed girl horror ghost, and wizard girls doing a variety of spooky spells. Video FX for Halloween! No license required for commercial attractions. Hang a white screen in a window and using a projector you can project video onto your screen for a very realistic illusion. You can also show these on your television!